In the evening, around 8pm, we will all meet in the lobby at our hotel in Kyoto to make sure everyone has arrived. This will be a free night. 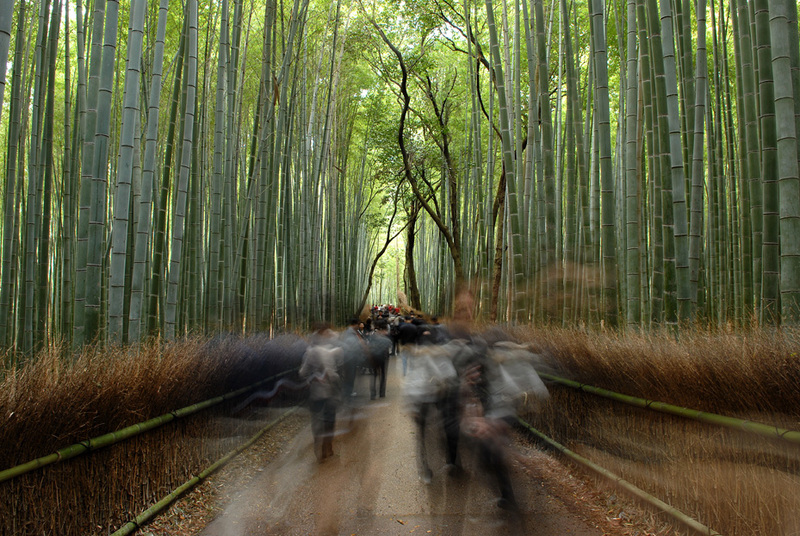 We will start the first day visiting the bamboo forest in the Arashiyama neighborhood. Then we will head to three Kyoto temples where the leaves begin to change their color. In the evening we will walk along the Kamo River and will have dinner at the famous Pontocho street. 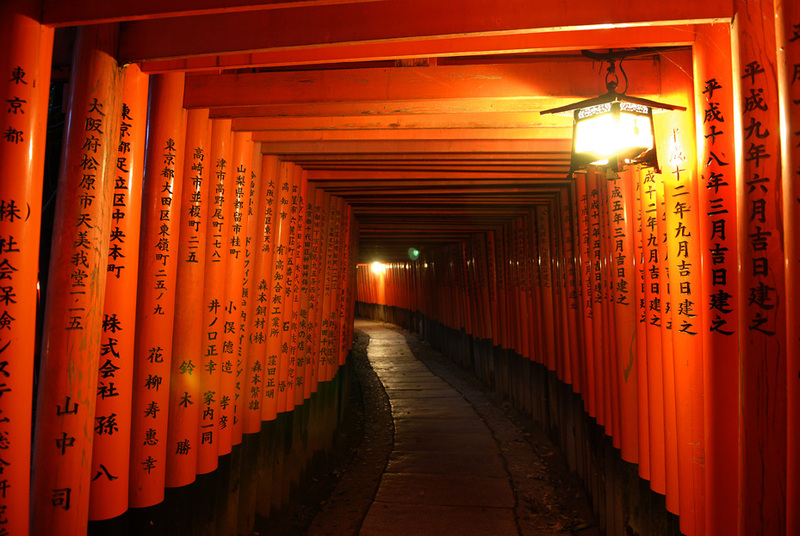 We will get up early to visit the Fushimi Inari shrine, thus avoiding the crowds that visit the place. Later we will visit one of the best Zen temples in Kyoto,quite unknown and very quiet. From there we will go to the neighborhood of Gion where we might have a chance to photograph geisha on the street. Then we walk to the neighborhood of Kiyomizu, where we will walk through its cobbled streets and photograph its wooden houses, looking for charming spots. At night we will capture the beauty of the gardens of the temples illuminated at night. We will leave the city of Kyoto and catch a flight towards Tohoku, to Aomori town, the northern end of the island of Honshu. Once there, we will take a cable car to enjoy the breathtaking views of the landscape covered with a carpet of autumn leaves. 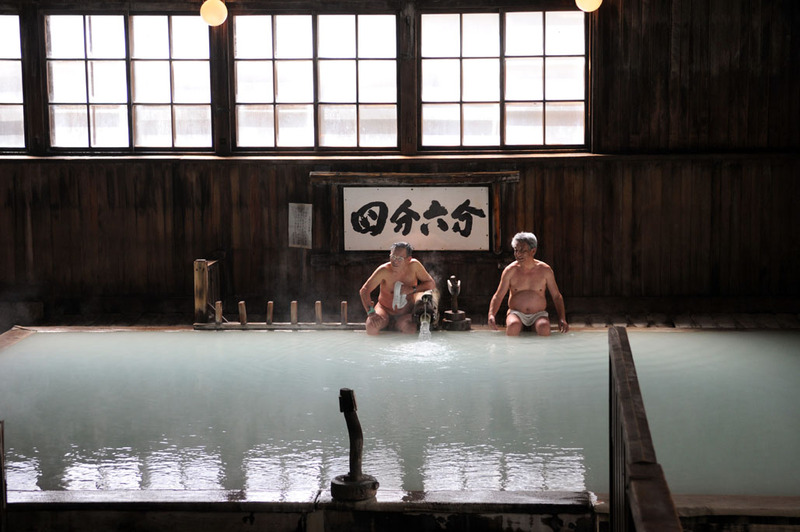 In the afternoon we will arrive at our traditional rustic ryokan with centuries-old wooden thermal baths. A balm for the senses. We will get up at dawn to get to photograph the sunrise in a magical pond. Afterwards, we will visit a mountain river of great beauty to enjoy the impressive landscape. Those who are passionate about nature photography will find themselves in paradise. We will walk along the river to enjoy the smell, colors and sounds of nature. At lunch time, we will go up to the lake where we will eat. In the evening, we will arrive at Hirosaki city. In the morning we will discover a beautiful forest with autumnal leaves near Hirosaki. Then we will drive a long way to head towards the Shimokita peninsula, the northernmost peninsula of the main island of Japan, where we will find a mountain, a mysterious place that Japanese folklore describes as the boundary between this world and beyond. The mountain is considered one of the three most spiritual mountains in Japan along with Mount Koya (Koyasan) and Mount Hiei. The almost lunar rocky landscape, its blue caldera lake, the sulfur vapor that comes out of the gray soil and hundreds of stone statues of jizos (protectors of children and travelers) create a surreal atmosphere and turn this remote place into a paradise for photographers. Tonight we will sleep in a Buddhist temple in this mountain. We will eat Japanese vegetarian dishes, the same food as the monks of the temple eat. At night we can relax in the temple’s thermal bath. We will get up early to start the day with the first prayer in the Buddhist temple. After the Japanese vegetarian breakfast, we will take more pictures of the mountain. 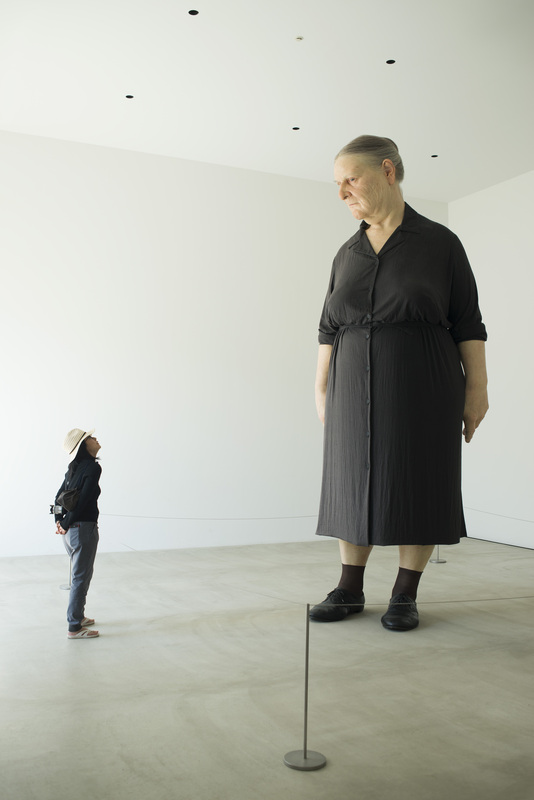 Then, we will head to Towada, a small city where we will enjoy an impressive museum of modern art, as well as works exhibited in the open air. In the morning we will take the high speed train to move towards the central area of Tohoku. From there we will approach some gorges full of golden and reddish trees, to photograph the stunning landscape. We will walk through the woods until sunset. We will spend the night in an old thermal town with a pretty retro look. In the morning, we will visit an impressive temple hanged on a mountain that offers incredible views over the valley and a walking path with many wooden temples over 1000 years old. The path has more than 1000 stone steps that lead to the top of the mountain little by little. It’s easy to walk to the top and perfect for taking pictures along the way. After lunch, we will head to another thermal town famous for its nearby volcano. 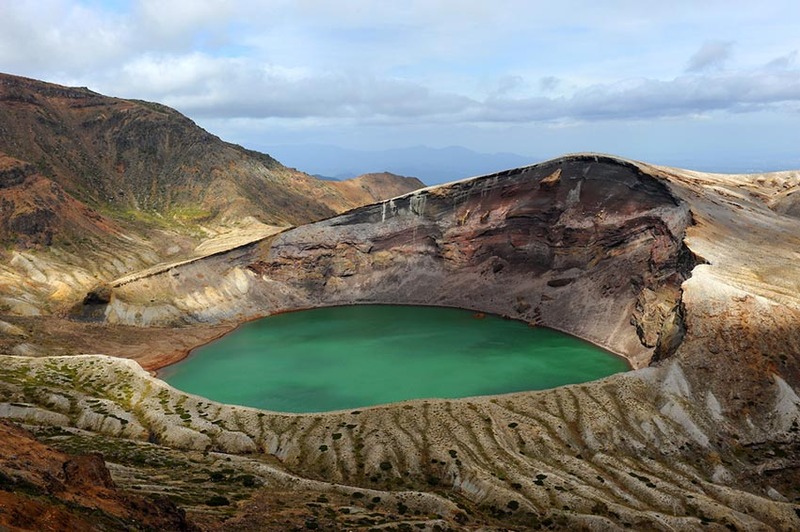 We will go up to photograph the impressive crater and after sunset we will enjoy the hot spring bath in our hotel. The last day of the tour we will drive from the small and hidden thermal town to Sendai, stopping at different points of interest along a beautiful mountain road. Waterfalls and valleys, once again with their ocher and reddish colors, will be the objective of our cameras. After lunch we will take the high-speed train to Tokyo, where we will arrive at around 3 o’clock in the afternoon and where our tour will end, at the JR de Ueno station. The tour we propose for this fall combines the beautiful city of Kyoto with the north of Honshu, specifically the Tohoku area, and will take place during the second half of October. 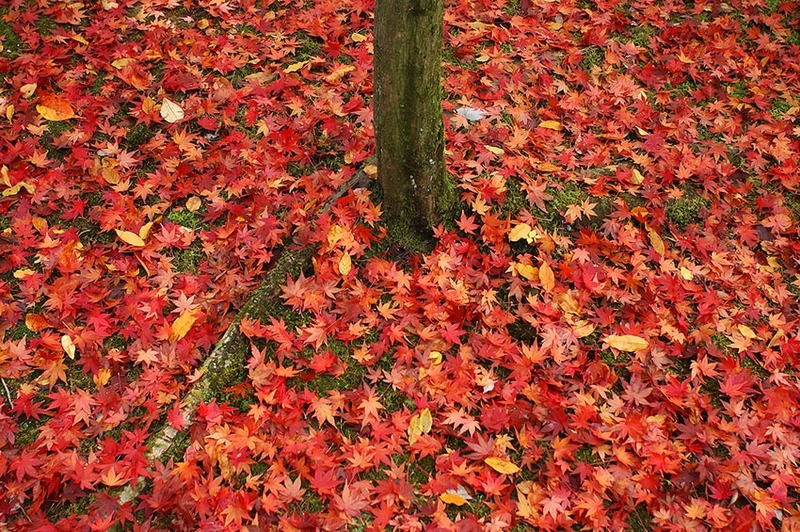 Without any doubts, the best seasons to visit Japan are spring and fall. It is not only because of the pleasant temperatures, but also of the spectacular natural phenomenon that offers in the both seasons: cherry blossoms and autumn leaves. And Tohoku is one of the best places to enjoy them without crowded tourists like in Tokyo or Kyoto. 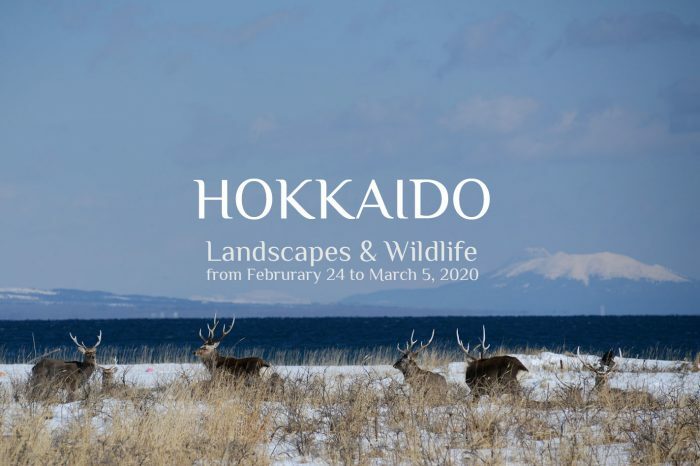 Moreover, Tohoku, a region far from the big cities and located in the northern part of the country, also gives us a chance to get to know rural and authentic Japan that we cannot find in big cities. 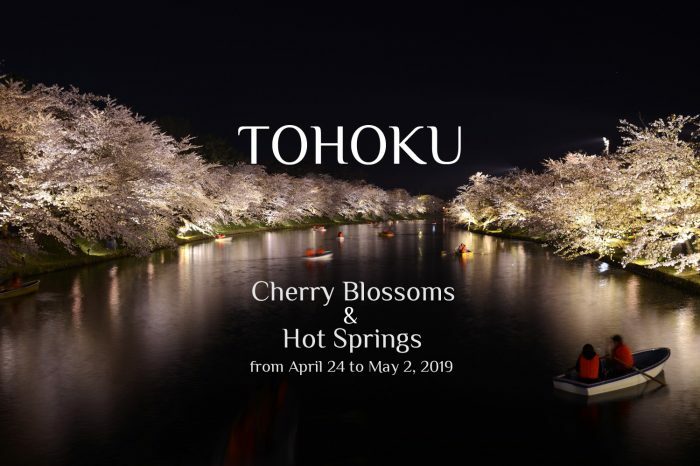 Tohoku is surely deep Japan that welcomes us with the unique and impressive nature, hidden hot springs in the magical enclaves, and traditional handicrafts that keep alive quietly in the valleys. Although you can easily reach some of the towns of Tohoku by bullet train from Tokyo, it is quite difficult to explore deep inside Tohoku because of the numerous mountains, rivers and volcanoes. But these are the very places where you can find real treasure of Tohoku and Japan. We will take you there. 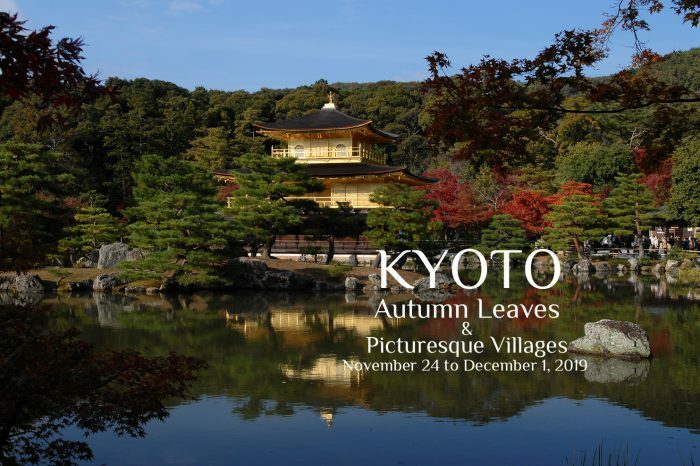 Toru Morimoto and Tina Bagué, both professional photographers, have organized a dream trip to Tohoku to enjoy the beauty of autumn leaves in traditional villages and relaxing and healing hot springs that spread all over Tohoku. 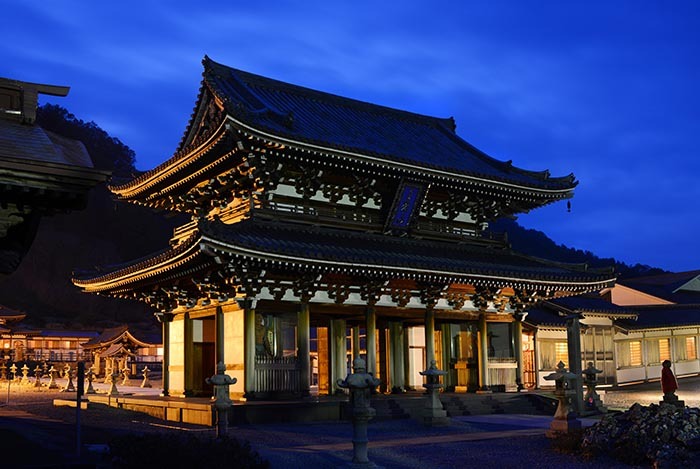 Sleeping in handpicked hotels and ryokan, enjoying Japanese authentic dinner, kaiseki, as well as delicious local food, travelling by a private bus, and visiting placing off the beaten tracks are some of the elements that make this tour more special. This photo tour to Japan is not just a trip for photographers, but also for everyone how wants to have unique and unforgettable experiences. 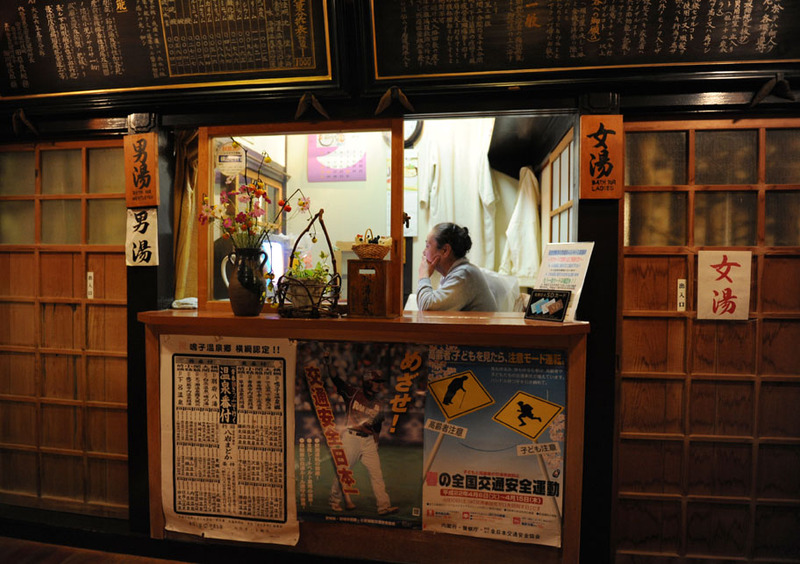 During our photo tour to Japan we will combine nights in ryokan with nights in western hotels. Whether they are traditional Japanese inns or western hotels, all of them are mid-high or high class with good reputation or selected by tour leaders from their experiences. The rooms will be twin room (with two beds), so participants who come alone will share a room with another single participant. If you wish to stay in a single room for the whole trip, you must pay a supplement. But single room might not be available in some of the accommodations, and you have to share a twin room with another participant. Restaurants are carefully selected to enjoy the varieties of Japanese food from sophisticated kaisei to homemade local food. In this tour all breakfasts, lunch and diners are included except the diner of day 0. If anybody has allergy or food intolerance problems, or is a vegetarian, we will try to make the necessary changes in the menus when it is possible. The total price of this trip is 3,990€ per person in accommodations of twin rooms. In case you want to stay in a single room for the whole trip, the additional price will be 400€. To make the reservation it is necessary to make a payment of the deposit of 1,000€. Payment can be made by bank transfer, credit card or paypal. Payment of the total cost of the trip must be made 60 days before the starting date of the tour. All transaction fees that occur for reservation are paid by the payer of the reservation. For the trip to be carried out, there must be at least 6 participants (maximum of 10 participants). For this reason it is recommended to consult the occupancy of the trip before buying the international flight if the flight ticket requires cancellation fees. It is mandatory to have comprehensive insurance cover for cancellation, medical expenses, personal accident, emergency evacuation, repatriation of remains, dismemberment, and accidental death. You have to give us a copy of travel insurance before the trip. If the cancellation is made more than 61 days before the start of the tour, deposit will be refunded in full only if the place(s) is/are filled with another/other participant(s). Deposit will not be refunded if the cancellation is made within 60 days before the start of the tour. For more details of cancellation and conditions of refund of the balance due after 60 days, please read our terms & conditions. Autumnal leaves can not be guaranteed under any circumstances. Each year the trees change color on different dates. Although we always try to capture them at their best, the period in which the leaves change from green to yellow and from yellow to red varies each year depending on the temperature, rain, wind and the heat of each autumn. It is important to keep it in mind that the organizers will not have any responsibility if it is too early or too late to enjoy the autumnal landscapes during the specific dates of the trip. However, if this happens, the organizers will try to change plans to see the autumn leaves in other places. All accommodations of 9 nights including "Day 0"